Ray is working his magic on this new 9-6 Nova for Scott in Ojai. In addition to the Ice Blue resin tint bottom and rails, board will have a dark blue pinline on the lap and blue glue lines on the custom 3/8″ bass stringer. Those are the kind of details you can’t get off-the-rack. Why buy what’s left off-of-the rack when you can get exactly what you want for less from Thomas Patrick Surfboards?? 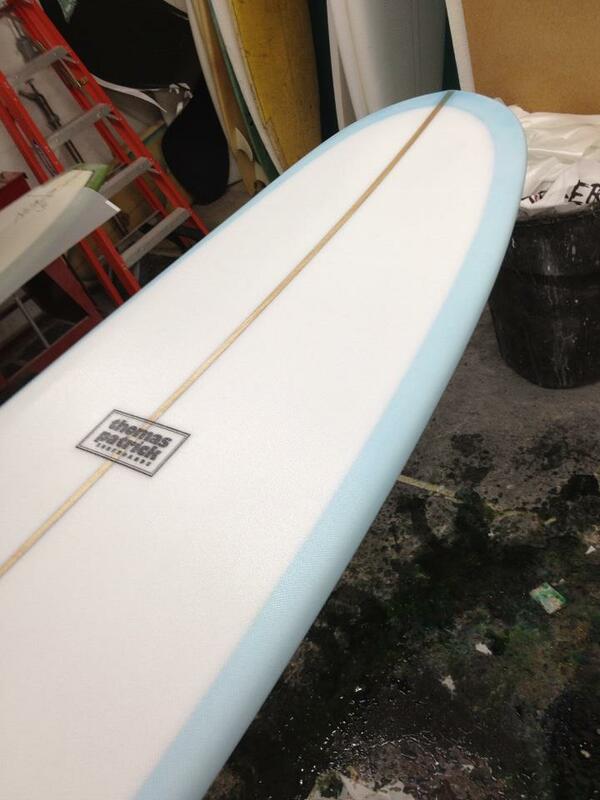 New boards currently delivered in 4 weeks, but Summer is just around the corner. Don’t wait, beat the rush and order now.